To find what cousin another member of your family is to you, find the nearest common ancestor, such as a grandfather or a great-grandfather. Count the number of generations that you and your cousin are from the ancestor. 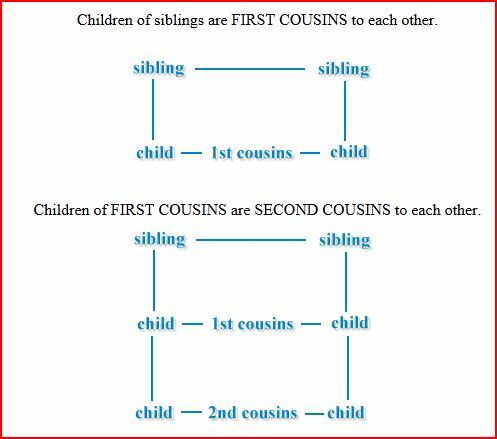 If you are the same number of generations from the ancestor as your cousin, then you are first, second, third or more cousins, where the number is one less than the number of generations that you and your cousin are from the ancestor. For example, if your nearest common ancestor is your great-grandfather, three generations away, you are second cousins. 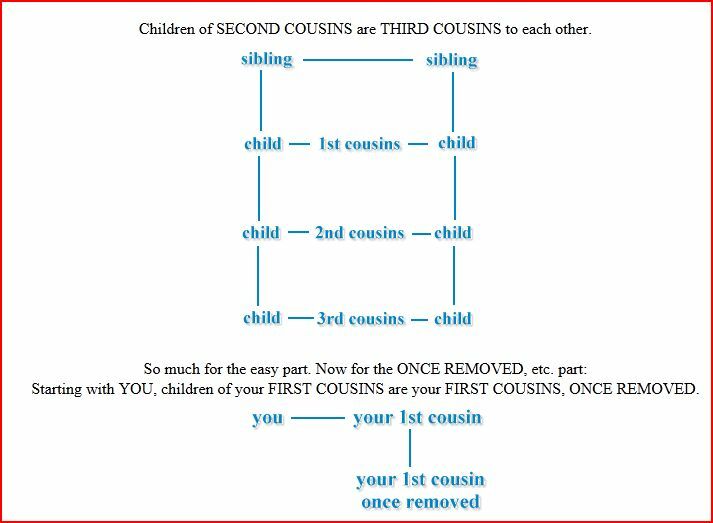 If your cousin is a different number of generations from the ancestor, then you are first, second, third or more cousins, where the number is one less than the number of generations that the nearer of you and your cousin is from the ancestor. Your cousin is 'removed' by the number of generations he or she is away from your generation. Your father's cousin is your first cousin once removed, and so is your cousin's son. If you wish to differentiate, your father's cousin is your first cousin once removed ascending and your cousin's son is your first cousin once removed descending. Cousin: Your first cousins are the people in your family who have two of the same grandparents as you. Second Cousin: Your second cousins are the people in your family who have the same great-grandparents as you but not the same grandparents. Third, Fourth and Fifth Cousins: Your third cousins have the same great-great-grandparents, fourth cousins have the same great-great-great-grandparents, etc. Removed: When the word “removed” is used to describe a relationship it indicates that the two people are from different generations. You and your first cousins are in the same generation (two generations younger than your grandparents) so the word “removed” is NOT used to describe your relationship.